If we want to save a lot of photos online on the internet, there are a lot of free service providers that allows storage of photos / images in number and large capacity. The image hosting service is very highly meritorious especially for the manager of the website or blog that contains many photographs or images of their content. This service allows users to upload photos / images and be stored on their servers, and usually when the image is uploaded, a URL / unique ID will appear to facilitate and identify when and where the image is used by the users. Access, the use of photos / images stored is usually the same, the user can use the link / links from images hosting to be stored on various sites and ways such as with HTML, BBcode, or could Thumbnail hotlinking (direct link associated with the image). Photobucket. The site was launched in 2003. It is one of the most used photo sites by many Internet users. In addition to the image storage, users can also share interesting images on favorite social networking sites and blogs for free, likewise it features easy to use photo editor panel with a large capacity to a maximum of 10GB / month. Flickr. Flickr is one of the best image hosting providers. Established in 2004, the site allows people to share their favorite photos and videos on the internet free of charge. Having taken by Yahoo in 2005, Flickr turned into one large online community, a place to share interesting photographs easily and quickly. Image storage capacity is at a maximum of a 300MB / month. Picasa. Initially Picasa is an image organizer with the editor feature for digital photos, founded in 2002 by Lifescape and since being taken over by Google in 2004, Picasa has begun offering several free features including integration with bloggers as automatic image storage. 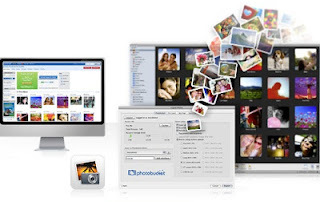 One of its excellent features is the Picasa Web Albums where users can easily upload, edit, and share images anywhere for free with a capacity of 1GB / month. Image Shack. It is one of the most popular sites among internet users who just need a simple fast and free image hosting. Launched in 2003 by ImageShack Corp., this site becomes a favorite option for storing photos / images with a maximum of up to 500 files per month and a maximum size of 5 MB per photo. Imgur. This site is similar to Image Shack for users who want to quickly upload and organize their photos. Established in 2009, Imgur is the fastest image hosting site that has millions of active users, because there is no need of registration to upload photos with a maximum capacity of 10 MB and 225 files / month. FreeImageHosting. It is also a free and easy to use an image hosting site. Users can upload photos without having to create an account. FreeImageHosting.net is already providing many social media button links to share photos with ease. Images are stored on their servers forever with a maximum of 3,000 KB / photos. PostImage. It is the image hosting sites are very simple but provides the most free services with unlimited capacity. It is the most widely used image hosting website hosting images of those who have the type of forum sites. Users can upload multiple photos at once and select the size they want to use as an avatar, an online community, web monitor, e-mail or computer. Imgbox. It is also one of the image hosting sites provide free hosting service. It is suitably used to save bandwidth on forums, blogs, and social networking sites. It does not need email, registration, just upload the pictures, quick and simple with a maximum of 10MB storage and Hotlinking files. TinyPic. TinyPic is also a widely used free image hosting site. Without registration, we can share with anyone, anywhere simply by uploading pictures. TinyPic also gives the image size option in 7 different resolutions, it is useful to change / resize the images quickly. The maximum capacity is unknown, but there is a limit of about 1600 pixels for a photograph. EPhotoBay. It is also a free image hosting site with sharing service that allow users to upload photos to an unlimited number. Each image can have a maximum size of 10MB. No registration is required, but the account is useful for managing files such as photos and create albums & Slideshow other.